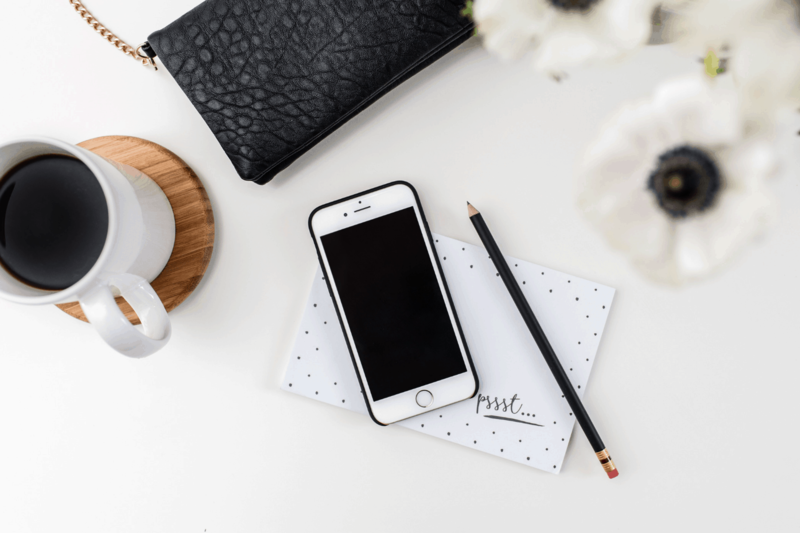 When it comes to productivity hacks, the Pareto Principle (also known as the 80/20 rule) is one that is seriously overlooked but can have a serious impact on your life. 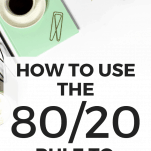 So what is the 80/20 rule? Founded by economist Vilfredo Pareto, the rule says that 80% of your results will come from 20% of your actions. Pareto was only using for a few specific situations at the time, but it’s since been shown that this principle can apply to just about ANYTHING. Business: 20% of customers bring in 80% of profit. Economics: In the United States, the top 20% of earners pay about 80% of Federal income taxes. Software: Microsoft reported that by fixing the top 20% of the most reported bugs, they could eliminate 80% of problems. Sports: 20% of exercises have 80% of the impact. Additionally, 15% of players produce 85% percent of wins. Healthcare: 20% of patients use 80% of healthcare resources. Crime: 20% of criminals commit 80% of crimes. Seriously, you can apply the Pareto Principle to just about anything! 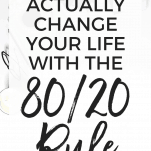 Today I want to share a few examples of how you can apply the 80/20 rule to change your own life! Does anyone else’s to-do list get cluttered up with really minor tasks that add up to take up a lot of your time, but you really don’t feel like they’re contributing to your life? Yep, that’s those 80% of the tasks on your to-do list that are probably only contributing to about 20% of your productivity. Also, try to identify the minority tasks that are making up the most of your productivity! 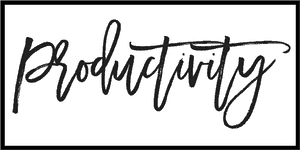 The obvious answer here would be to eliminate the 80% of tasks that only contribute to a minority of your productivity, but in a lot of cases, these “busy work” tasks aren’t something that can be totally eliminated. However, you can probably either automate them, outsource them, or devote less time to them. For example, if you work full-time and have a side hustle, but find you’re spending more time cleaning your home than working on your side hustle, figure out how to minimize that task. Which means either outsourcing the cleaning (hiring a cleaning a service) or minimizing the cleaning (being okay with your house not being SUPER clean). In some cases, you’re spending your precious free time on things that are not at ALL productive or necessary. For example, I used to spend a LOT of time watching TV. Usually binge-watching a show on Netflix. And this was a ton of time I wasn’t spending on my business. Eventually, I just decided that down the road, I would be a lot more happy with myself if I could look back and see that I spent that time on something that would make a real difference in my life, like being able to make more money from my side business. That made it super easy to cut that thing that was taking up a LOT of my time and having NO positive result on my life. Now I really only watch TV when I’m spending time with my boyfriend. The time wasters in everyone’s day are going to be different, but it all comes down to figuring out what in your daily routine is NOT making the most of your time, and figure out how to spend less time on it. I was doing some reading up on how much of our day runs on autopilot and read from a few different sources that 40-50% of our day is made up of habits, meaning we’re running on autopilot rather than making conscious decisions. In some ways that seems great because it means we’re cutting back on the number of decisions in a day, therefore minimizing decision fatigue. But then when I think about it again, because it’s kind of alarming how much of an impact BAD habits can have on our lives. And since using the 80/20 we can assume that 20% of our habits are responsible for 80% of our results, it’s SUPER important that those habits be healthy ones! Since habits are often things we do on autopilot, we might not even notice all of them. So take a few days and just try to be super mindful of what you’re doing and thinking about throughout the day. And take notes, either in a notebook or on your phone! Make note of which habits are taking up a lot of your energy, and which are having a big impact on your day. It’s scary how a few bad habits can have a major impact on your life. One example for me was smoking. I didn’t spend a significant portion of my day smoking, but there were certain times of day where I would just automatically light a cigarette out of habit, and holy smokes is that a bad habit to have! Other habits that probably have a HUGE impact on your life but you might not think about that much are what you’re eating throughout the day, how much you’re moving, how much time you’re spending on your phone or on social media, and how much of your day you spend in a negative headspace (complaining, gossiping, feeling down about yourself, etc.). Having a really accurate view of the habits you have will make it SO much easier to start changing any habits that need changing or maximizing the good habits you already have! Chances are, some of the relationships in your life are bringing you a lot more happiness than others. As someone with limited free time (I have a full-time job AND have my own business) I have to be picky about how I spend my time. When it comes to my social life, I do this by making sure I’m maximizing the 20% of relationships in my life that bring me the most happiness. Basically, this means my significant other, my family, and very few close friends. I’m not suggesting you need to approach this the same way. For some people, their social life is a significantly more important part of their life, and they genuinely enjoy spending their time with lots of friends or getting to know new ones. That’s totally fine! It’s not about following hard and fast rules, it’s about knowing what makes YOU happy and contributes to your life, and doing more of that. Does this item bring me happiness? Chances are you only answer yes to both of those questions for about 20% of your items (though it’s entirely possible they weren’t the same items). Last year I moved from a three-bedroom house to a studio apartment. As you can imagine, there definitely was going to be room for ALL of my belongings in the apartment, so I had some serious eliminating to do. Pretty much anything that didn’t cause me to answer YES to one of the two questions above had to go. I’m not necessarily saying you should immediately discard anything that doesn’t fit into one of the two questions, but those questions can definitely be a guide when it comes to decluttering your home, as well as purchasing new items in the future. If it doesn’t make you happy and you’re not going to use it regularly, do you REALLY need it? 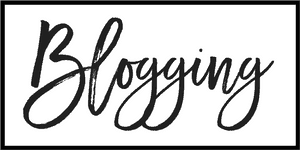 When I first started trying to make money from my blog, I learned everything I could about growing my blog, and tried just about every piece of advice I read. Some of them worked and helped me get my business to where they are today. 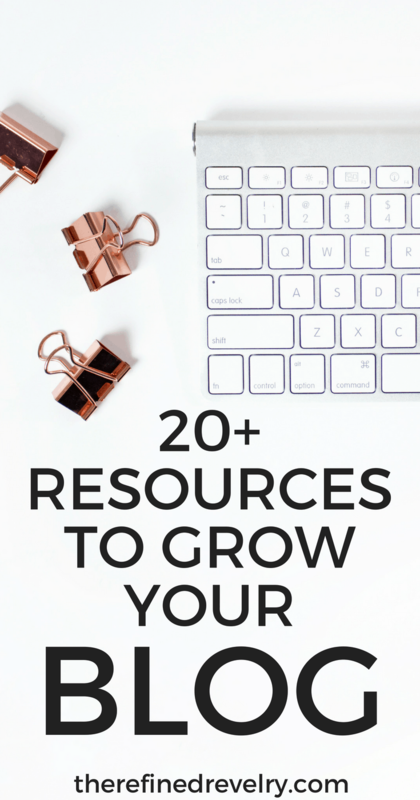 Some were a HUGE waste of time and did very little (if not nothing) to grow my business. Honestly, it took me way too long to start being really critical about how I was spending my time in my business. I have VERY limited time to spend on it, and I need to be really picky, but I wasted a lot of time in the first couple of years. Now I look really critically at every single task and ask myself a simple question. Is this going to increase revenue for my business? If the answer is no, then it gets put on the back burner to make room for tasks that WILL increase revenue in my business. And honestly, most of the little tasks I was wasting money on were NOT increasing my revenue. If you have a business, take a hard look at the tasks you’re doing every month and figure out what 20% of tasks are ACTUALLY making a big difference in making money, and which aren’t. Minimizing those 80% tasks will save you a TON of time and make space for the 20%. Where Else Can You Apply the 80/20 Rule? These are just a few areas of your life where you might apply the 80/20 rule, but I guarantee there are others where you can apply it! 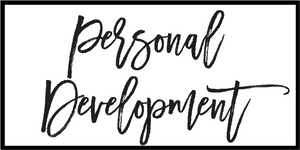 Consider the different categories of your life (relationships, career, money, personal development, home, etc.) and take note of any imbalances you find. Keep in mind that the majority of your results are coming from a minority of your actions, so figure out what actions you can do MORE of to see bigger results in the areas you want to. If you devote MORE time to the 20% of actions that see results, you’ll see even MORE results! It’s amazing how changing or maximizing a MINORITY of the actions you take can have such a serious impact on your results! 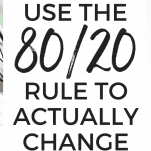 But now that you’ve seen a bunch of examples of the 80/20 rule at work, it’s super easy to see how it can apply to your own life. 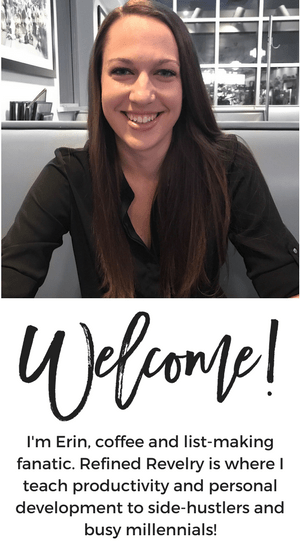 I would love for you to leave a comment and let me know your big takeaways from this post and what part of your life you can really see the 80/20 rule at work.